What happens when you combine Americana beats with troubadour inclinations, take the intriguing combination to the warm, mountainous highlands of Honduras, and base lyrics off of historical narratives that you just happen to be teaching to children in the country. Well, much in line with the album cover above, you get this odd mixture of brush strokes and colors that form a piece of artwork, both delicate and brusque, almost Hemingway-esque. The Blind Window is led by multi-instrumentalist Brian Katz, a semi-finalist in the 2011 International Songwriting Competition, who created this blend of inspired music while working as a history teacher in Honduras from 2010-2012. In his surroundings, he found enough isolation to devote time to developing his craft. In his subject, he found ideas that he molded into songs of pain, expired youth, and loss. His music is endearing. It mixes the midwestern Americana branded by Tom Petty and Neil Young with modern Dylan-inspired folk created by bands like Fleet Foxes. 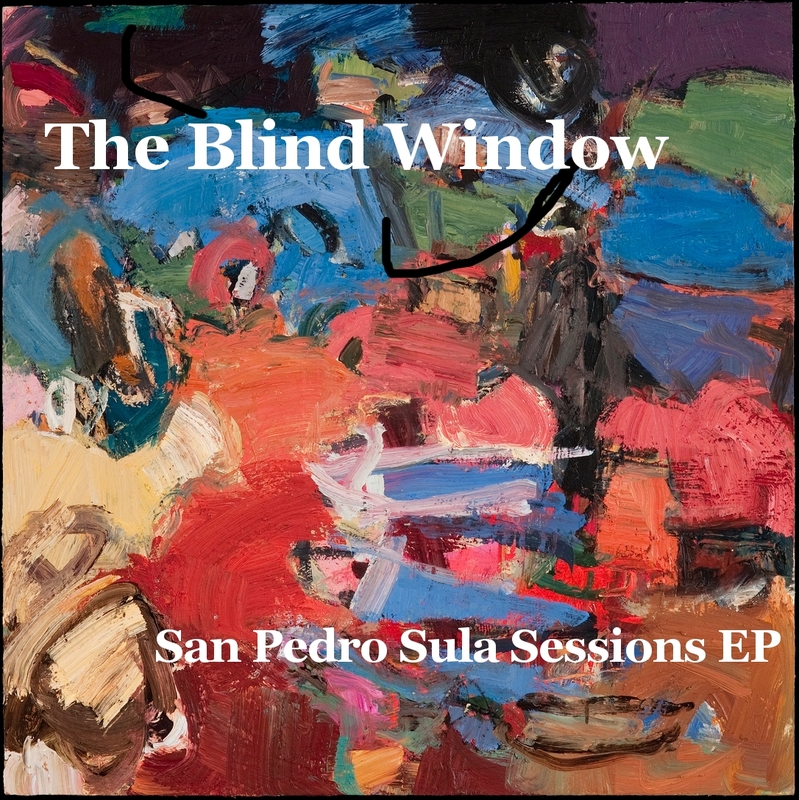 San Pedro Sula Sessions is The Blind Window’s first EP. Released in mid-July, the album is being toured in the Toronto area. I want to target two tracks that I think you all will like, both of which (like the entire EP) are available for free download at The Blind Window’s Bandcamp. In order to understand the lyric of “William Walker” it is first important to understand who Mr. Walker was. Let me brush up a bit on my history, and, Mr. Katz may need to help me a bit. Walker was a filibuster (idea of conquering Latin American land and creating new slave states to join the Union) who became president of the Republic of Nicaragua in the mid-19th century. He ruled until he was defeated by a coalition of Central American armies, and was executed by Honduras in 1860. Ah, so now the lyric, “Shot at the firing wall by Honduran guns,” makes sense. The song’s introduction combines a staccato acoustic rhythm with synth. It would be a disservice to just say it’s Indie. I catch a noticeable scent of modern Mountain Goats. The band layers elements before the vocals begin. Katz’s vocal is certainly Neil Young-like. His voice can get up there and it rises in the verse skillfully and melodically. I absolutely love this crescendo. He possesses a vocal talent much like some of the better folk artists, and this elevates the music to an excellent level. “Lost Between the Lines,” begins with soft ahs much like Iron and Wine’s “God Made the Automobile.” This continues and rises over a guitar riff until it fades into a perfect harmonica. Gosh, Katz’s voice really does remind me of Neil Young. Sorry for repeating it, but I really think he has a similar voice. The song moves at a great pace, the harmonica fill my favorite portion. It is not difficult to recognize the talent of The Blind Window, and I look forward to hearing about them more soon.